Despite driver doing a hit-and-run, insurance coverage issues and dealing with the DMV, our team really helped a Southern California scooter passenger with her accident claim. A yoga-loving interior designer was riding as a scooter passenger on the back of her friend’s Vespa in San Diego, California. It was a sunny summer evening, and the young woman and her friend were trailing a few friends riding on scooters ahead of them. The group of scooters proceeded left on a busy San Diego city street, with the last scooter carrying the young interior designer on the back. Sadly, a woman driving a forthcoming car on the busy street failed to slow down after the Vespa turned in front of her, and rear-ended the back of the Vespa a high rate of speed. The impact resulted in the young woman and her friend being thrown from the Vespa, and onto the busy street. The driver of the car did not get out of her vehicle and drove off immediately after the car vs. scooter accident. The young woman was taken to a nearby hospital for treatment, as she suffered multiple fractures to her body. As one could imagine, this young woman was overwhelmed with her physical recovery and medical treatment alone. As a scooter passenger, she had not control over the accident, and even afterwards, she needed to gain control over her case. The added stress of losing income from being out of work, medical bills piling up, and tracking down insurance coverage on the vehicle that hit her became far too much for her to handle. Thus, she sought help from an experienced motorcycle accident attorney to assist her with her case. She found and retained California personal injury attorney Sally Morin to assist with her case. The Sally Morin Personal Injury Lawyers team immediately took everything off this young woman’s plate so that she could focus on her physical recovery. 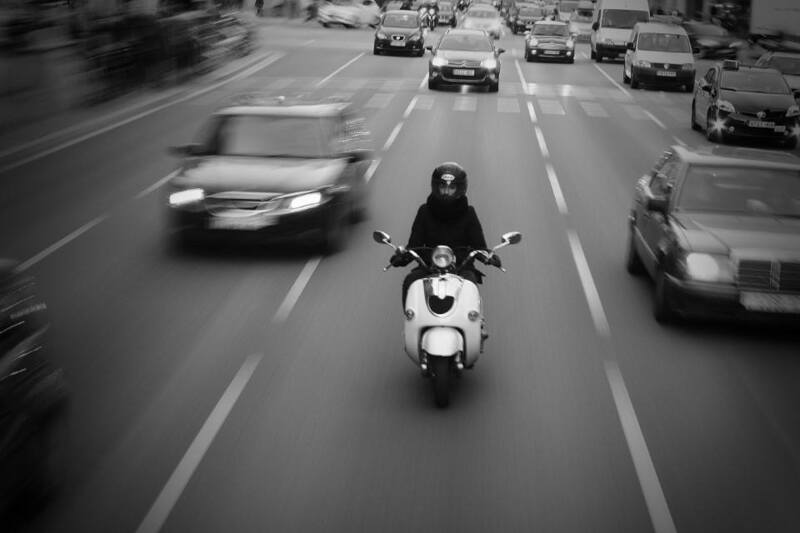 The nature of the accident made this woman’s personal injury case more complex than a typical auto v. motorcycle accident claim. Due to the fact that she was a passenger in the accident, there were various potential avenues of recovery to explore—including the hit-and run driver’s insurance and assets, her friend’s motorcycle insurance, and her own insurance coverage. The Sally Morin Personal Injury Lawyers team thus scrutinized each option in order to find their client sufficient coverage for the medical bills, lost wages, and pain and suffering she endured as a result of the accident. The team first worked on tracking down insurance coverage on the hit-and-run vehicle. Thankfully, there was a witness to the accident who was able to provide a description of the hit-and-run vehicle and the driver of the vehicle. A thorough investigation was performed by the San Diego Police Department, and they were able to track down the driver of the car and the license plate number. Unfortunately, it was discovered that the vehicle was uninsured and the driver was insolvent. The team thus turned to her friend’s motorcycle insurance as well as their client’s own vehicle insurance as possible avenues of recovery. However, unexpectedly, the police report found the young woman’s friend to be mostly at fault for the accident. This ended up presenting additional challenges for the Sally Morin Personal Injury Lawyers team in the young woman’s personal injury case. Although an uphill battle, the Sally Morin Personal Injury Lawyers team tackled each challenge thrown their way. First, her friend had minimum coverage on his Vespa, and thus only $15,000 of funds she could recover from his insurance policy. Although the woman wisely equipped herself with $100,000 of Underinsured/Uninsured Motorist coverage to protect her in this very scenario, her insurance carrier ended up denying her claim. Her carrier’s denial ultimately left her with her friend’s policy limit funds of up to $15,000—which would not cover even a fraction of this woman’s damages. Despite her carrier’s decision denying the claim, Sally Morin and her team of attorneys were determined to appeal this decision and figure out a work-around for a UIM or UM claim to stick. Having uninsured motorist coverage on your own car or other vehicle can even help you if your are a injured in an accident as a scooter passenger. A dispute over liability was the first hurdle that Sally Morin had to overcome. Since the police report found her friend to be at fault for the accident, the woman’s carrier decided that her friend was liable the accident. 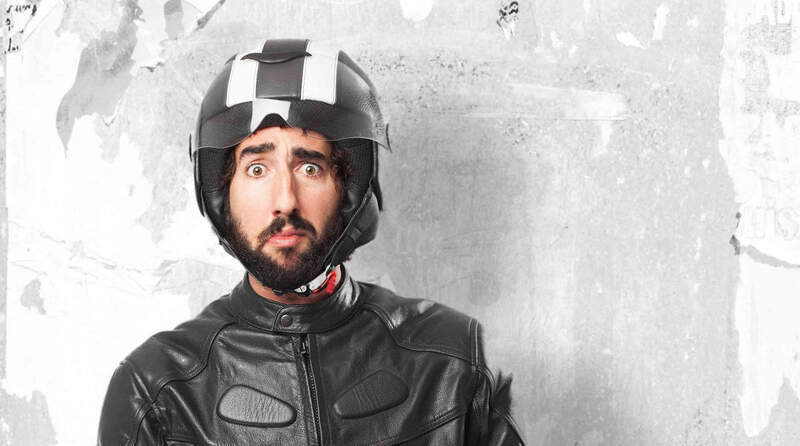 Thus, in order for her Underinsured Motorist (UIM) coverage to apply to her as a scooter passenger, she would need to first recover her friend’s liability insurance coverage policy limits. However, her friend’s insurance carrier placed the hit-and-run driver at fault for the accident, despite the finding in the police report. As a result, her friend’s insurance denied a liability claim, and instead offered her the policy limits under her friend’s Uninsured Motorist (UM) coverage. Her insurance carrier therefore denied the UIM claim because there was no “liability” funds to recover, and her insurance policy prohibited UM/UIM funds from stacking on top of each other. The attorneys at Sally Morin Personal Injury Lawyers thus changed gears and shifted their focus on a plan B—pursue an Uninsured Motorist claim under her policy. They thought if they could get their client’s insurance carrier to reverse their finding on liability, and place the hit-and-run driver at fault for the car vs. scooter accident, then the woman’s Uninsured Motorist insurance coverage would apply to her as a scooter passenger and a claim would finally stick. Although it was difficult battle due to the decision in the police report, Sally Morin and her team of personal injury attorneys often encounter liability disputes in their motorcycle accident cases, and are thus very experienced at hammering down liability in their clients’ favor. They were ultimately successful, and the insurance carrier reversed their liability finding and placed the hit-and-run driver at fault for the accident. However, the work did not end there—and the team hit their next road block in pursuit of the $100,000 of UM funds. The woman’s insurance carrier demanded official documentation that the vehicle was uninsured in order for the UM claim to adhere. Insert eye roll here. Ugh! The DMV! The Sally Morin law team thus worked diligently on getting official documentation from the California DMV verifying the hit-and-run vehicle was uninsured at the time of the accident. After months of work to get this documentation from the DMV, the DMV finally sent an official Certificate confirming that the vehicle was in fact uninsured. Their hard work finally paid off. Sally and her team were able to recover the entire UM policy limit funds of $100,000 to compensate the woman for the damages she suffered in the scooter accident. In successfully pursuing the UM claim, the Sally Morin Personal Injury Lawyers team ultimately increased the value of the value of the case for his scooter passenger by $85,000—seeing as she was initially was left with her friend’s insurance funds of only $15,000. Fortunately, this optimistic, easy-going, physically-fit woman had an astounding recovery time considering the extent of the injuries she suffered. She was gladly able to get back to Yoga and Pilates within six months of the accident. The Sally Morin Personal Injury Lawyers team were there to ensure that her all-around recovery—physically and financial —were a success! If you've suffered a California scooter accident and don't want to deal with insurance companies, hit-and-run driver and the lovely DMV, contact us now for a FREE case evaluation to see if we can help.